This year when we saw the official promo of Miss World 2015, it left us really excited and expecting a grandeur ceremony since it was China hosting the Miss World competition and every time it hosted the contest, it does magnificently. And each time. it does better than the last time they hosted. So many expectations and excitements, once the Miss World competition started, everyone was surprised by the lack of media coverage and publicity. I am sure it will be different in Sanya, China. The contestants would be enjoying their stay, the tours and the activities having the best time of their lives. But for a fan like us, who follow Miss World completely, it was a disappointment of sort. Agreed that there is strict control over the internet in China, but it was different when it hosted previously. There were constant updates, wide publicity and media coverage. Don’t know what went wrong this year. The final night of Miss World ceremony was a little different. It was great and very enjoyable, but then again it wasn’t very much unlike the previous years when China hosted. The contest started with the contestants’ introduction taking the stage in their beautiful gowns. The introduction of the contestants was nice to see. They were introduced two at a time. It was nice to see them holding hands together when they were being introduced. 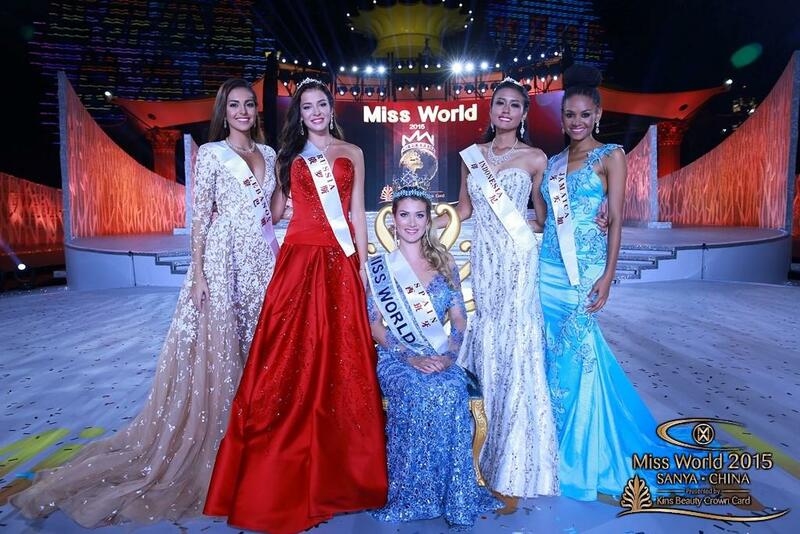 That truly shows the unity of the world and what Miss World is trying to portray through its motto and purposes. Once it was over, Miss World 2012 WenXia Yu sang a beautiful, soft and melodious song in Chinese – a tribute to Beauty with a Purpose. Then the hosts of the evening – Angela Chow, Megan Young and Tim Vincent joined the beautiful contestants on stage. The return of Angela Chow made me really happy. I had missed her a lot. She is so lively and a great host. Her happy face and sweet personality always make the night so relaxing for the audience and the contestants. Megan as always is fabulous. Tim Vincent also is a good host. But when you see him with Megan, the chemistry and the spark is missing. I miss Frankie Cena in that sense. Megan and Frankie were so cool to watch. They have a chemistry which connect with the audience and they were fun, easy going, and entertaining. How I wish I could see them back. The first Score board of the night threw some surprises. The gorgeous Miss Lebanon came first in the interview round scoring 425 followed by Miss South Africa with 422 points and in third place was Miss Russia who scores 420 points. Some girls whom I thought would really do well in this round were Misses India, USA, Australia and Samoa whose strong points were their communications skills. It was surprising to see them out of top 20. Miss Philippines won the Multimedia award. I was sure that she would be winning this award. She and her team did really well for this award. Her constant updates and interaction with her followers were amazing. There is a personal touch to her Miss World – Philippines facebook page. Always if not every time, she responded to her fans and followers. I am one of those lucky fans who got her reply to some of their comments on her Miss World official facebook page. She would always say, “This is for the Philippines” which shows her determination and sheer grit to win for her country. The Sports winner was Miss Namibia, 2nd was Miss Seychelles, 3rd was Guam and 4th Kazakhstan and finally in 5th place was Miss Samoa. The winner of the World Designer Award went to Miss Vietnam. The dress looks much better in motion than in pictures. Miss Spain won the top model award; the remaining in the top 5 were Misses Italy, France, Russia and Puerto Rico. The talent round was won by Miss Guyana. Miss Malaysia was 2nd, Miss Jamaica 3rd, 4th Miss Paraguay and 5th Miss Samoa. It would have been nice to see Miss Samoa performed “Let it Go” from Frozen in more than 20 languages. What a talent! The 2nd Score board had big changes with Russia who was second in the first score board moved up one place to come first with a score of 460, Jamaica came second at 444 scores and France came third at 439. Lebanon moved down to 6th place with a score of 430. Spain who was at an 11th place in the interview round moved up to take the 7th position with a score of 428. Thanks to her Top Model Award. Indonesia who won Beauty with a Purpose Award was at 8th position with a score of 426. The winner of talent round Guyana was at 10th place with a score of 413. Sports winner Namibia despite winning one of the preliminary contests couldn’t make it to the top 20 scores board. 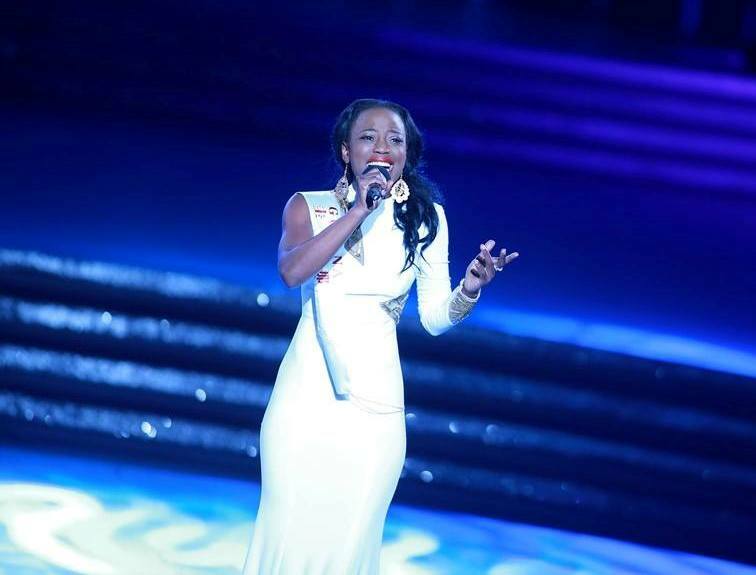 Miss Guyana performed her own original song “One Last Time” on stage. It was emotional and a beautiful song. Someone who sings always has an upper hand in the talent round if we look at the previous year’s talent round. But Miss Guyana performance was unique because it was original and the song was inspired by her deceased cousin. I love the song and enjoyed it thoroughly. The Beauty with a Purpose award went to Miss Indonesia. The remaining top 10 were Misses Guyana, Nepal, Nicaragua, Tanzania, Zimbabwe, Samoa, Russia, El Salvador and Ecuador. I had watched all of the BWAP project videos. It was difficult to choose one which stands out. I thought this year too we might see more than one contestant winning BWAP award. So many projects which are universal and which we all can relate to, I personally can relate to most of them. Miss Indonesia’s project was one of my personal favourites. Actually, it was my friend who suggested seeing it first before anyone else. He had really liked it and touches his heart. I was pretty sure that she will be one of the top 5. She deserved this award. It was time for the top 20 announcement. The top 20 were announced with their rank showed on the screen but without their scores. I guess this was done to not make it obvious who made it to the top 10. 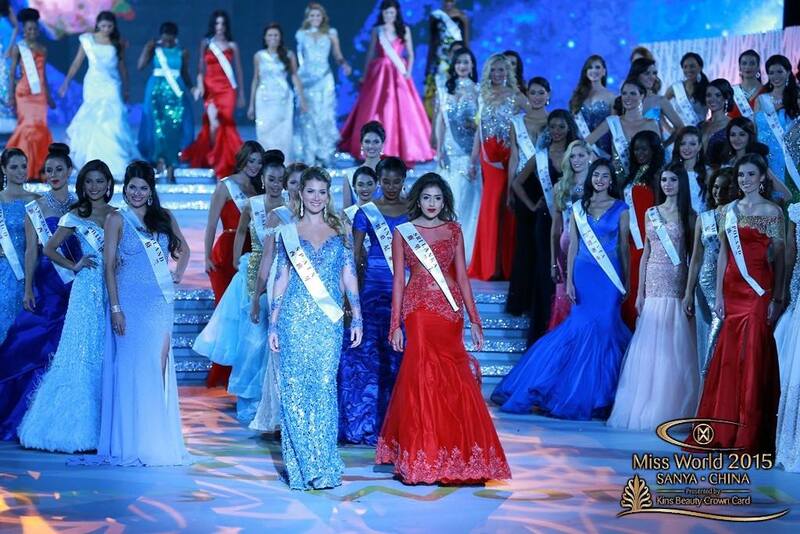 The lucky top 20 were Misses Russia, Indonesia, Philippines, Jamaica, Guyana, South Sudan, France, Lebanon, South Africa, Spain, Australia, Netherlands, Brazil, Kazakhstan, Poland, New Zealand, China PR, South Sudan, Scotland, Ecuador and Northern Ireland. After seeing the 2nd scoreboard, it was pretty obvious my other favourites like Misses India, Samoa, USA and Vietnam won’t make the cut. Miss Samoa exclusion was confusing for me. I wish atleast she had been there in the top 20. The top 10 announcement was actually exciting and nerve wrecking. It was in a way different. Tim Vincent stood next to each contestant and said if they were on the left side of the score board it meant they were in the top 10 and if, on the right side, they were out of the competition. That was a great way to engage the audience and keep the suspense going. I can imagine how nerve-wracking it must be for the contestants and their disappointment when they see themselves on the right side of the scoreboard. Miss Russia was the first one to make it to top 10. Philippines, Guyana, Lebanon and Spain also made it to the top 10. Miss Brazil was the last one to be told she was on the right side of the board which means the remaining contestants – Misses Indonesia, Jamaica, France, South Africa and Australia, made it to the top 10. That group hug and happiness on their face was heart-warming. But at the same time, I was so upset for Miss Brazil – Catharina Choi Nunes. I was nervous as hell and hoping she won’t be on the right side of the score board. Then the disappointment happened. Honestly, among my favourites, she was the one I wanted to see her win. But the judges had made their decision. Like everyone else, it was time to move on and cheer for the rest of my favourites who were still in the completion. They were Miss Spain, Miss South Africa, Miss Jamaica and Miss Australia. The People’s choice award winner Miss Vietnam joined the top 10 as the 11th contestants to compete for the top 5. The final score board, after all points from preliminary contests and interview were added, had Miss Russia with 492 points, Miss Indonesia was second with 486 points and Miss Philippines was at third place with 467 points. The current Miss World Rolene Strauss gave her farewell speech and talked about her role as Miss World, Beauty with a purpose project and her message to the world and next Miss World. I will never get bored of Rolene Strauss. Such a stunning beautiful woman with a kind and genuine heart, she will always be one of the best Miss World and one of the most beautiful women. It is a joy to watch her. Her Oxford debate speech and the way she took over the debate still echoes in my head. She is truly a complete woman. The next performance was by Julian Believe who sang Caribbean Slide. The contestants joined him in their spectacular traditional attire for the “Dances of the World.” Misses China PR, Paraguay, Samoa, Nepal, Zambia, Slovakia and France were the chosen one who showed their traditional dance in this segment. Miss World will always be my favourite pageant partly for this round. This is one way to show the world how truly we are diverse and how we can appreciate people’s culture, language and traditions through dance and music. I think I should be the next Miss World 2015 because I believe in strong women. I think I have something inside my heart that I always try to give my best of me. I also believe in Beauty With a Purpose. And I think I can continue with this legacy and show worldwide how we should love and share. And how to give the best of ourselves and how to find happiness by helping each other. I think my inner world reflects the main idea of the pageant – Beauty with a Purpose. To reach my inner world, to share my life, love, happiness with all people is really what I want to do. It would be a big big huge honour for me if I will have the opportunity to do it with the big Miss World family. I have always been truly inspired by the Beauty with a Purpose as it means having the heart to share and always giving it back to the community. Becoming Miss World will fulfill my dreams; reach out to more people in terms of helping. I want to encourage many people as I can to share everything that we have with people around us. To use our potential to help those in need because we are so much more than our looks. We are fearfully and wonderfully made to not just exist in this world but to make a difference. I think that modesty, love and serenity is what the world need more these days and Miss World should have this qualification in order to spread them all around the world. I’m confident and I promised to give all the energy inside of me and all the power to make a difference and draw a smile on others faces. I am already so grateful for being here and truly touched. My story is one of the little girls whose life has transformed with charity and love. My quest in life is to give that back to as many as people as I can and to inspire the world with my story that no matter where you’re from, your skin type, your hair colour, your situation and your dreams are valid and I believe Beauty with a purpose embodies my quest. If I was blessed with the crown tonight I would dedicate my essence to impact the world in a purposeful and beautiful way with Charity and love. Impressive answers by all the ladies. Everyone knows that this question will be asked to whoever makes it to the final round. Though it’s not necessary that the one who answers the best will win the crown but it speaks a lot about them. I am really amazed at how original they were and true to themselves through their answers without rephrasing the same answer from the previous year’s winners or answers. Miss Jamaica reminds me of Miss Universe 1994 Sushmita Sen. The dress, her hairstyle, the way she answered her question and the word “essence” in her answer were so much like Sushmita Sen. And anyone remember Lupita Nyong’O speech while accepting her Best in Supporting Actress Award at the Oscar? She might have used that speech in her answer, but it was true for her too considering how she was raised. At this point, I thought it would be Indonesia, Spain or Lebanon. I was skeptical of Indonesia winning Miss World though since Beauty with a purpose winners have never won the blue crown and I thought she will follow the same fate. Somehow, in my mind, I wanted her to break that jinx. Spain and Jamaica were the only one left who were my favourites. Spain had more chances than Jamaica, but Russia and Lebanon could come in her way to the crown. 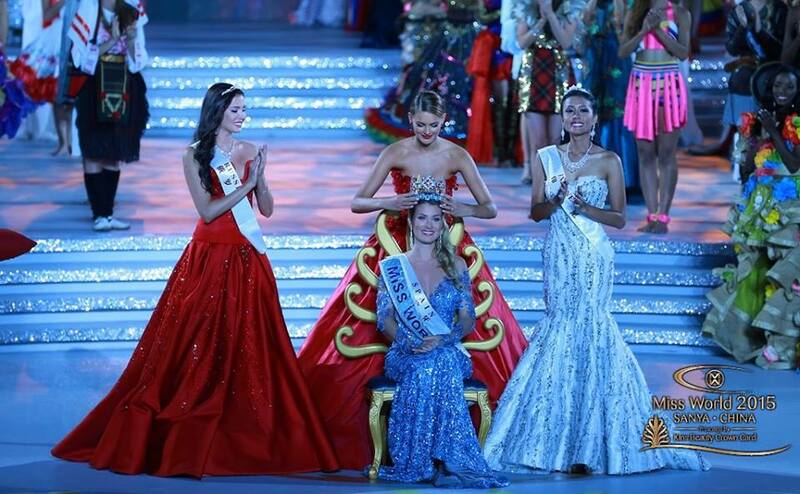 Then the CEO of Miss World Julia Morley announced the 2nd runner-up was Miss Indonesia and 1st runner-up was Russia. In my mind, it would be Miss Lebanon or Miss Spain. But I wanted Spain to win. And she did. When Miss Morley announced “Miss World 2015 is Miss Spain” finally I was relieved. Atleast, one of my favourites ended up with the blue crown. A deserving win and a perfect top 3. It’s a co-incident that The 3rd one to be called in top five came third, the second one second and the first one first i.e. Miss World 2015. Angela Chow coming back as host. Miss Guyana performing her own original song. Beauty with a Purpose project. Dances of the World with a special performance by Julian Believe. Former Miss World as the judge especially Zhang Zilin And Agbani Darego. And of course, Mireia Lalaguna winning Miss World 2015. Pictures credit: Miss World Facebook Page.